Today's shot is another of the Curvaceous Wood Pavilion at the Lincoln Park Zoo, this time, not from its typical angle. 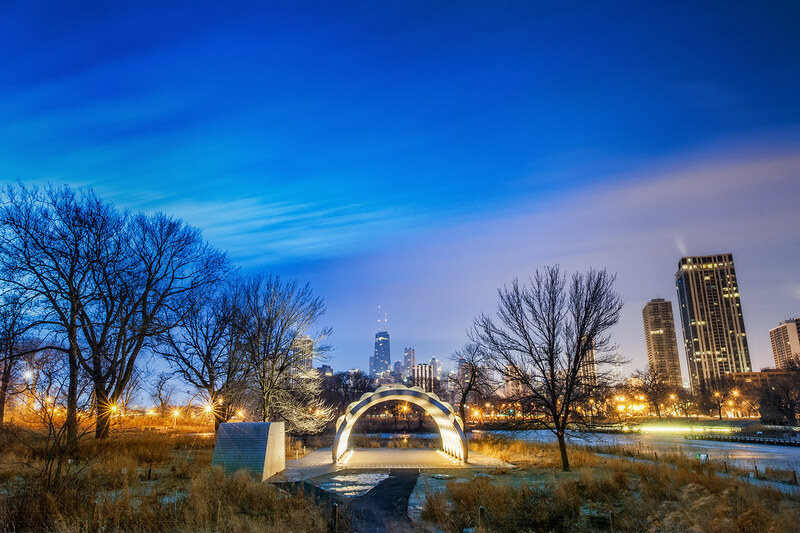 An early morning sunrise from the Lincoln Park Zoo. This is the often photographed Curvaceous Wood Pavilion.